Among the striking features of these headphones are the optimized 40mm neodymium drivers and the base reflex system. These features are technologically improved to guarantee first-rate performance and a powerful sound resonance that soothes your auditory nerves whenever you are tuned to your favorite hits. The sound produced by this device is clearer and more dynamic than what you would expect from many other brands of headphones that fall within the same price range. If you hold any prejudices in favor of style and fashion, you are bound to develop an early passion for these devices at first sight. * Powerful 40mm high definition drivers. * High resolution audio for immersive fun. * Acoustically sealed for greater quality. * Bass reflex system for remarkable audio effect. * Deluxe memory cushioning for comfort. 1. POWERFUL 40mm High Definition Drivers. 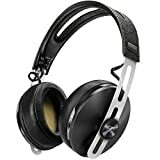 If you are particularly concerned about the output of the Philips Fidelio M2L/27 headphones, you should consider these headphones among your best solutions. The 40mm high definition drivers are designed to yield a balanced natural sound within a wide dynamic range that makes the music quite distinct and impressive. Many other headphones that cost nearly the same price as the Fidelio M2L/27 do not come with such powerful drivers. Generally, the quality of the drivers determines the field of audio effect that eventually registers on your ears. These headphones are widely acknowledged for the uniformity and clarity of sound. The attraction that these headphones retains among fashionable music and movie lovers draws from their high resolution audio effect. Once you adjust them to your preferred volume, these headphones give you back a rewarding resolution that makes the sound remarkably clearer and finer than many sound devices. The advantage of high resolution is further enhanced by the noise cancellation mechanism that cleans out all audible trash and leaves you with a smooth and soothing sound effect. You should try out the quality of this resolution next time you are sitting in a crowded sports pavilion or in a fast moving bust. The results are always incredible. 3. ACOUSTICALLY Sealed for Greater Sound Quality. You will notice at first glance that the designers of these headphones paid great attention to the quality of sealing. The objective was to enhance the overall quality of the sound. The proper functioning of headphones is largely dependent on the quality of sealing since it contributes significantly towards noise reduction. Many users contend that the functional appeal of these headphones greatly surpasses that of some costly headphones. The crispness of the sound suits these headphones to watching movies that are highly detailed with bold and subtle sounds that work together to create the desired effect. 4. BASS Reflex System for Remarkable Audio Effect. If you are the type of person who insists on a powerful bass reflex system as a measure of quality, you should make haste and acquire these headphones because they are optimized for the same purpose. Simply put, the bass reflex system is modeled on some of the industry-leading gadgets that are optimized for top-class performance. 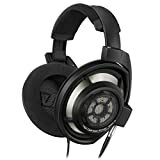 Selecting the best headphones for general utility should always entail a balance of various factors that include the element of durability and the consistency of sound. Many experienced users have recommended the Philips Fidelio headphones because of the triple advantages of reliability, durability and powerful audio output. Apart from the enhanced aesthetic qualities of these headphones, you will be impressed by the level of cushioning, which makes them very comfortable around your ears. The deluxe memory foam cushioning is designed to fit snugly on your ears in a way that allows you to enjoy extended fun. Besides, the material used for cushioning is uniquely breathable in a way that makes you want to use these headphones for long and regularly. You may consider the cushioning and the general design of these headphones as a clear triumph of design, especially when you compare them with the common alternatives on the market. If you want to enjoy your cool music moments without incurring weight on your head, then you should think of these headphones as the most appropriate. One of the winning advantages about these headphones is that they are quite portable and fit easily over the head and around the ears. When you compare these headphones with other random sound devices on the market, you will notice that they are far more convenient because of the lightweight quality. * Lightweight design for enhanced portability. * Superior noise cancellation effect. * Designed with remarkable ergonomic features. * Strongly constructed to withstand time and impacts. * Some customer held that the lightning cable of these earphones may become dysfunctional. * The controls may appear a bit complex for new users. Q. Is the cables of these headphones removable? A. No. The cables are built-in. Q. Who is the manufacturer of these headphones. Q. What is the overall weight of this product? A. The weight is 6.9 ounces. So far, these headphones have attracted 3.8 stars after 27 customer reviews. These earphones were rated highly by customers who acknowledged the high quality of their sound. Such customers also expressed their satisfaction with the great noise canceling quality and the advantage of durability. Other customers rated this product highly on account of its lightweight construction and user-friendly appeal. The reviewers also liked the aesthetic features of the headphones and the convenience of its controls. However, the headphones were rated low by customers who considered the clarity of sound as somewhat below average. The Philips Fidelio M2L/27 High-Resolution headphones are highly regarded because of the combined qualities of convenience and first-rate performance. The ingenious designers of these devices ensured that they yield clear and crisp audio effects that uplift the general appeal of the headphones among devoted music lovers. These headphones are particularly recommended for those who wish to enjoy extended periods of entertainment, or those who want to enjoy good quality music as they travel or carry out their daily chores at home. The remarkable qualities of durability and convenience makes these headphones ideal for general entertainment.